Following the launch of the new iPad mini and iPad Air yesterday, Apple has continued to update its products through its website today. 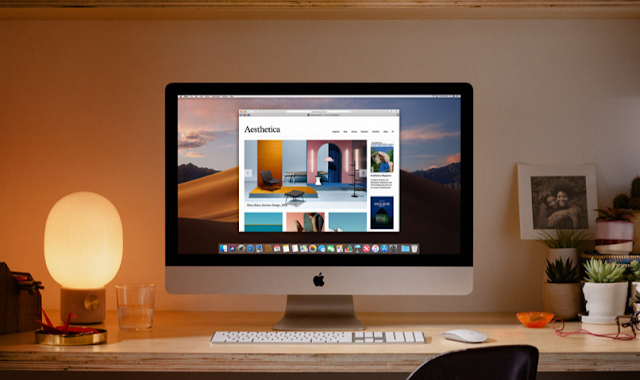 The second batch of new product release in the spring of 2019 is the iMacs, including the 21.5-inch and the 27-inch Retina retina display models, with no change in design, mainly towards core component upgrades. The refreshes are essentially on CPU, graphics card and memory. After this update, the 21.5-inch iMac comes with an eighth-generation quad-core processor or a six-core processor (3.6GHz quad-core Intel Core i3 or 3.0GHz six-core Intel Core i5), delivering up to 60% performance gains; On the GPU side, the Radeon Pro Vega 555X or 560X is theoretically capable of up to 80% faster graphics processing. Both iMacs arrive with standard 8GB 2666MHz DDR4, however, 21.5-inch models have 16GB or 32GB RAM, whereas 27-inch models include four slots, which users can expand on their own or factory options. The hard drive comes standard with a 1TB SSD hard drive, and users can choose a faster pure SSD solid state drive. In addition, Apple also updated its ultra-choice machine - iMac Pro, you can now decide to whether or not go towards the 256GB of 2,666MHz DDR4 ECC memory option, which will cost you a $5,200, more than the $4,999 price of the base iMac Pro itself. At the same time, you can also take the Radeon Pro Vega 64X graphics for $700. Both are configure-to-order options.